The Welsh 38th Division was formed from several Regiments including men from the Royal Welsh Fusiliers and the Royal Welsh Regiment. They were answering the call to arms by David Lloyd George and enlisted eagerly expecting exciting wartime adventures. They were, however, poorly trained, ill-equipped and badly commanded. When planning the forthcoming attack on Mametz Wood, the generals calculated it would be a battle of a few hours; it would, in fact, last for five days. They failed to take into account the fact that the wood was defended with trench systems, machine gun posts and mortars. Manning these positions were men from the Lehr Regiment of the Prussian Guard, who were well-trained and well-armed and very determined. On the 7th July 1916, the 38th Welsh Division were given orders to capture Mametz Wood. The Division were tasked to leave their trenches and to advance towards a position called the Hammerhead. The distance to cover was maybe 300-400 yards; this distance was to cost them heavily in casualties and even led to them having their bravery questioned. At 08.30 on the morning of the 7th July, following a preparatory artillery bombardment, they attacked. Initially it appeared the barrage had worked; however, as the men advanced towards the darkened woods, they soon came under heavy machine gunfire from both exposed flanks and they started to take heavy casualties. The attack ground to a halt, and a second barrage was ordered later that morning. This, too, failed to silence the German machine guns. Fortunately for the Infantry, a further attack that had been planned for that afternoon was subsequently cancelled as the machine gun posts still remained in position. When the attack ceased, the Division had suffered 400 casualties. During the 8th and 9th, men from the 6th Dorset’s Regiment managed to take and hold the Western end of Wood trench; however, seven unsuccessful attempts to take Quadrangle support Trench had by now been made. On the 10th July, a further attack was planned and, following an artillery barrage, the four Battalions went over the top at 4:15. They attacked the woods between Strip Trench and the Hammerhead following behind a rolling barrage. This time the attack made better progress, and throughout the day vicious hand-to-hand fighting took place in the woods. When night fell, the fighting continued amongst the shattered tree stumps, branches, brambles, barbed wire, trenches and shell holes. German troops were almost pushed out of the woods, but as night fell, they clung to 40 yards of its northern edge. In the confusion of the darkness and destruction, both forces were subjected to heavy shelling from both hostile and friendly fire. The morning of the 11th, the Welsh tried to clear the woods of German resistance and a further day of fierce hand-to-hand fighting ensued, but still the Germans clung to the very tip of the northern edge of the wood. During that evening, though, they were to withdraw, leaving the woods finally in the hands of the Welsh. Daybreak on the 12th, and the woods were in British hands. 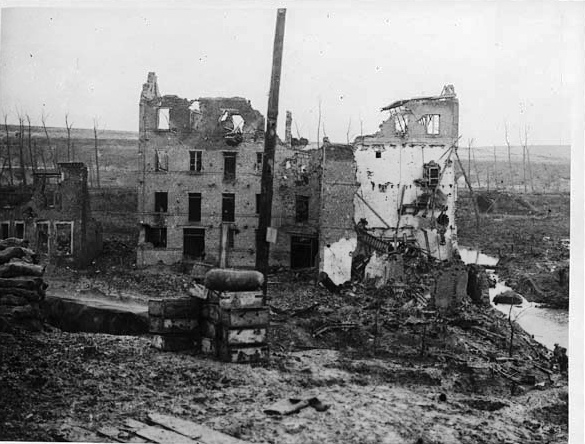 With a cost nearly 4,000 casualties, the Division was withdrawn from combat, and it would be a year before they would return to the Western Front. 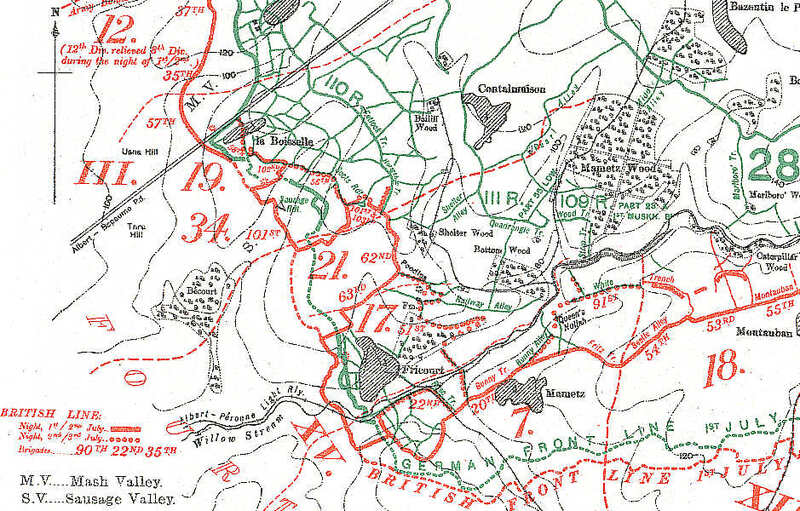 The 38th Division was withdrawn from the line and replaced by the 21st Division. The men of the Welsh Division were then to be accused of “failing to advance with enough spirit” — in other words, they were named as cowards. Although the statement was later retracted, the damage had been done. 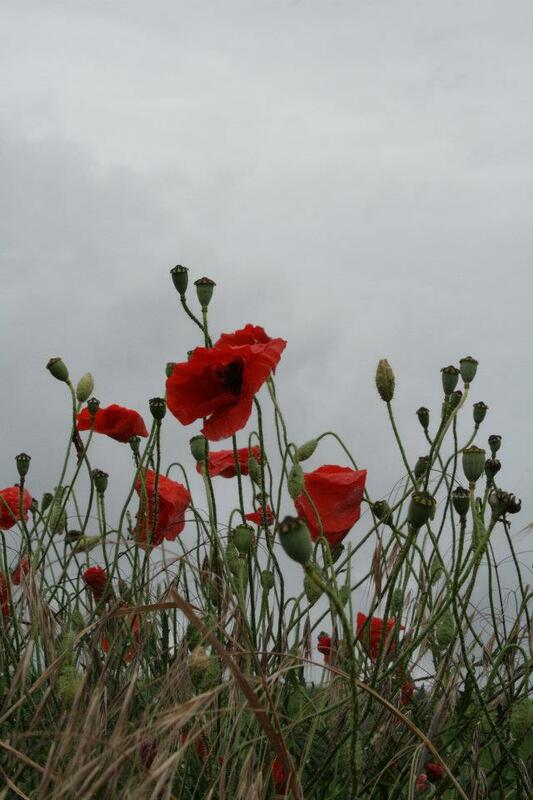 A memorial was only put in place on July 1st 1987 by the South Wales Branch of the Western Front Association. 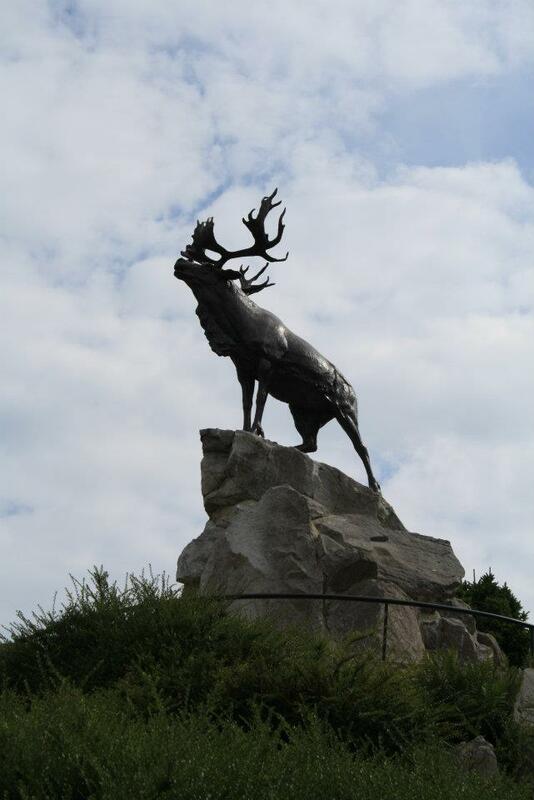 I believe it is one of the most moving memorials on the Somme. The Memorial is not the easiest to find. Google Earth and a sat nav are a must prior and during the trip. You can drive straight past if not careful. It took me approximately 45 seconds to cover the distance between the Dragon and the Hammerhead. This brought home to me the scale of the losses incurred covering such a small distance. When I reached the tree line and entered the woods, the trenches could still be seen. The years had tried to repair the woods from the damage from those five days 95 years ago, but signs of battle can easily been found. In such a tranquil wood, the only sounds were my footsteps and the songs of the birds — how different from those few days in 1916. As I stood in one of the remaining trenches and looked back towards the Dragon, it struck me that with the field of fire the Germans had from the woods and the strip trench, the 38th Division’s frontal assault was near suicidal. As I turned to leave the wood, I found a photograph of a Welsh soldier pinned to a tree, a personal tribute to one of the many men who perished in Mametz Wood in July 1916. 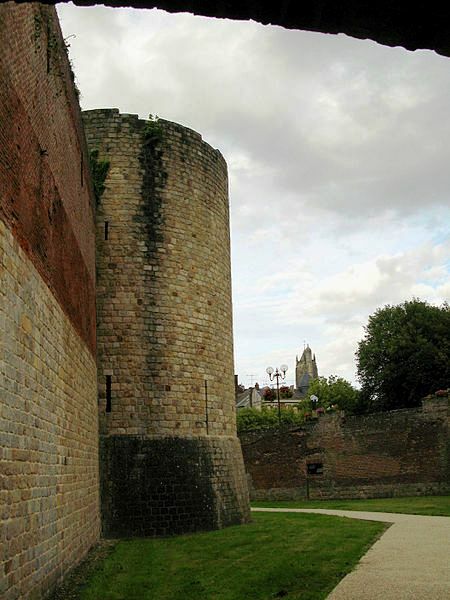 Fellow blogger Sommecourt has a very nice photo of post-war Peronne, a village on the Somme that was nearly destroyed as it changed hands during the war. Front of the Historial, taken by Bodoklecksel, posted at Wiki Commons. 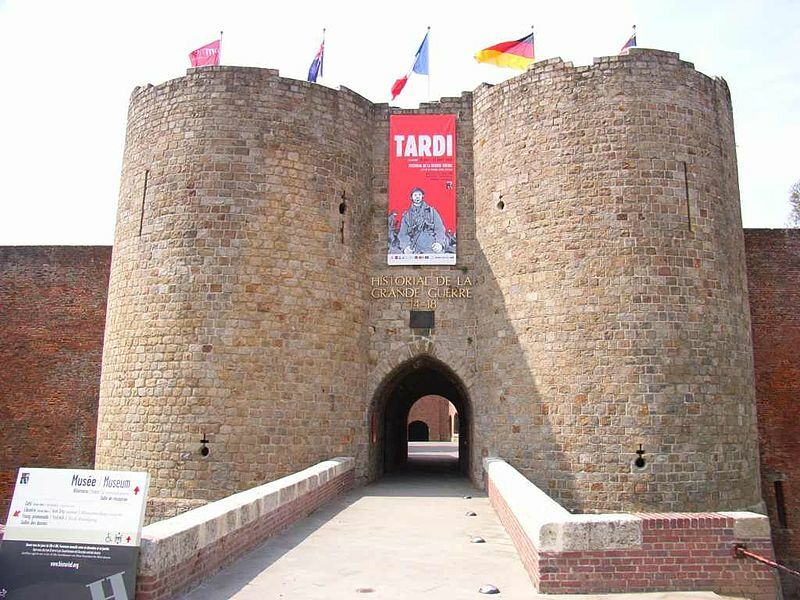 Here’s an interesting video presentations about the colonial troops who fought for France in the 1916 Battle of the Somme. I think of that battle as an unmitigated British disaster — France contributed three corps, including the I Colonial, and did pretty well, actually advanced their line. But they got dragged down by the British failure on the north end of the battlefield. You needn’t understand French to appreciate this video, although I’m sure I would appreciate it more if my French went beyond a lazy eighth-grader’s. In 1915, 6,000 French, Algerian and Moroccan colonial troops died in the first minutes of the first German gas attack at St.-Julien. 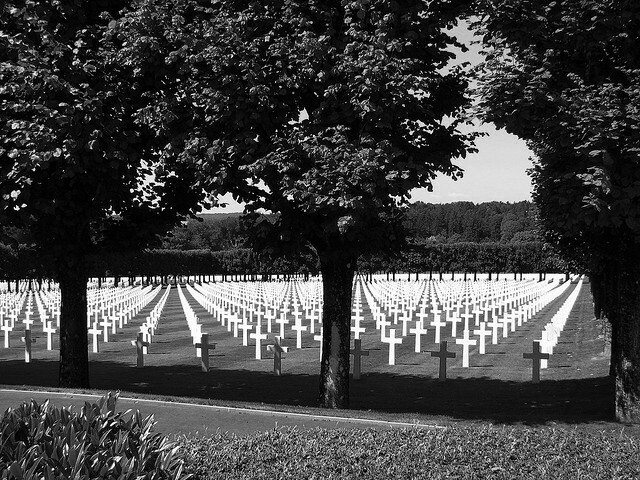 More were killed trying to escape the gas, mowed down by machine guns. The British and Canadians rushed into the gap, which had surprised the Germans, But that’s a story for another day. 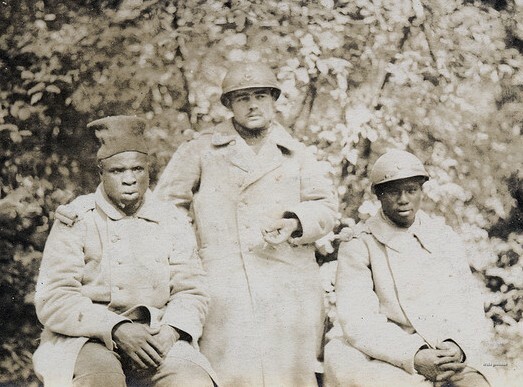 Three French soldiers captured by the Germans in 1918. Two of them are from Senegal. This photo is from a fantastic collection of postcards on Flickr.com, posted by collector drakegoodman.